Don Doubledee has been an Architect since 1982. Don has become known locally for portraits he has completed with graphite, color pencil or pen and ink. His “Postcards of Amsterdam” began a number of series of what Don calls his “Postcard” sketches featuring line drawings he has completed while vacationing around the world. 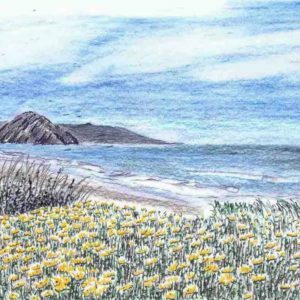 Now, his “Postcards of Morro Bay” series features detailed pencil drawings of Morro Bay’s waterfront.